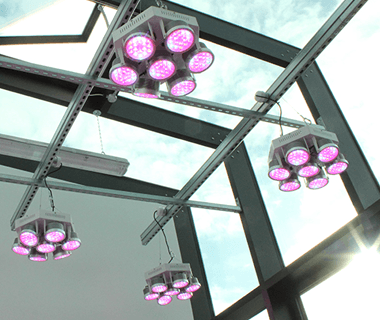 The University of Wolverhampton's two new glasshouses, sited on top of a new science block, opened their doors in February 2015 with PhytoLux Attis-7 LED plant growth lights having been installed throughout. One of the key objectives of this construction project was to ensure that the glasshouses were being built to as high a standard as possible to ensure they would be functional for many years to come. This included a plan to install the best quality LED plant growth lights available in order to minimise energy consumption. Dr Tim Baldwin, Reader in Plant Cell Biology at the Faculty of Science and Engineering who was involved in the design of this facility commented; “We have designed and built the new glasshouses not just for use by the current generation of staff and students but also for future generations. As such, we wanted to install the best quality plant growth lights available that we could afford”. 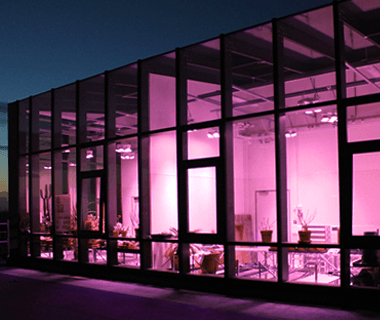 With a number of credible plant growth lighting products on the market, the decision regarding which product to select was taken very seriously and even involved making contact with other universities that already had some experience with this technology. 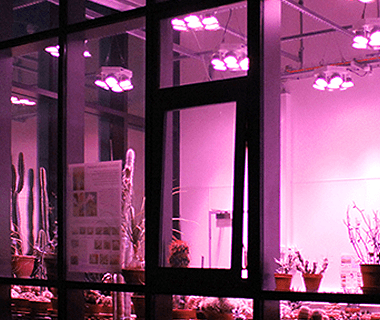 Feedback from colleagues at Cambridge and Birmingham Universities led them to select PhytoLux as their supplier, and as a result, the facilities opened in February 2015 with Attis-7 growth lights installed throughout. Tim continued; “Sodium lighting is old technology and uses much energy. Everyone knows that LED technology is the way forward. We wanted the latest technology, and talking to friends at Cambridge and Birmingham Universities, found out that PhytoLux were the best company to deal with”. 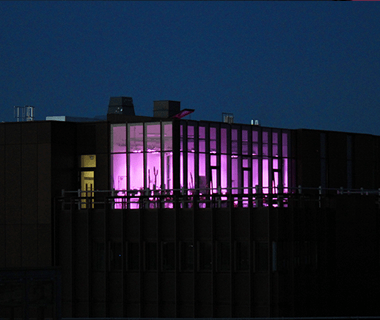 PhytoLux are grateful to the University of Wolverhampton for selecting the Attis-7 as the LED plant growth light of choice for this exciting new construction project. We are looking forward to receiving feedback from future, as well as current staff and students regarding their plant growth activities.